Time to wrap up the servicing on my X-Files machine – I’ve missed not being able to play it. At the end of the last update, I was working my way through getting everything back onto the playfield. I had already made good progress getting the lower playfield area done and was chipping away at the upper sections. All the posts had been installed, so the next bits to go back onto the machine were the plastics. All plastics were cleaned (both sides) and polished before being installed again. 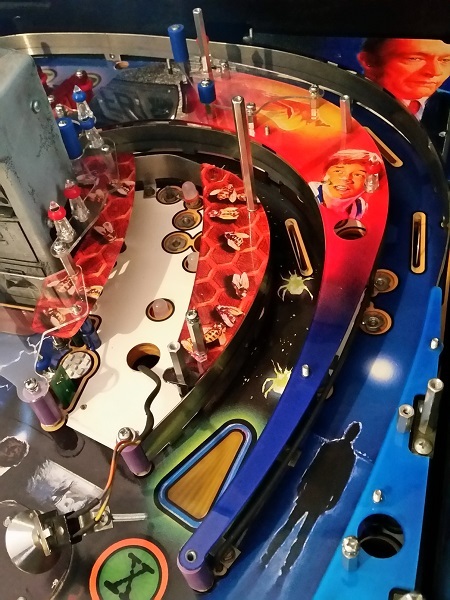 The right side of the playfield came together first. 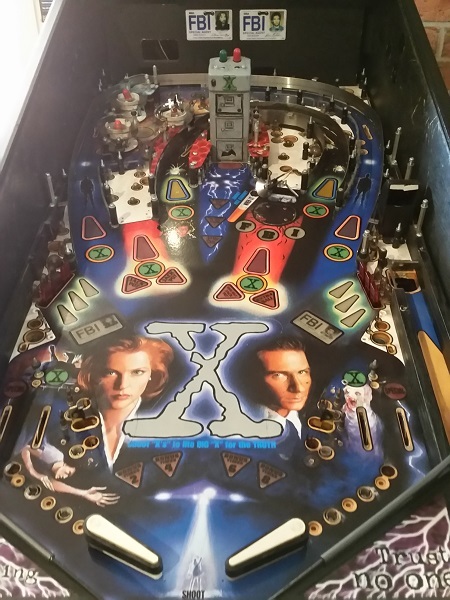 Time for an update on the service and repair on my X-Files pinball machine. After the work done so far, the game has been holding up well. I have really come to appreciate it and going by the audit menu, I’ve put just over 150 games into it. It’s a fun title and I think does not get the credit it deserves. While it’s playing well, it can be even better. To get the machine into the state I want it, I need to give the playfield (and all its surface components) a really good clean. I also want to rebuild the pop bumpers and add LED’s for the GI. That means it’s time to take the machine offline for the next week (maybe two) and give the playfield and it’s parts a solid clean. First to come off the machine were the ramps. This then allowed me access to the plastics below. With the plastics off I could then access all the various posts and ball guides. There are quite a few to remove. The plastics all need a good clean and these will get the novus treatment before being installed again. Often, dust and crap attaches to the underside of the plastic too, which can affect how well they look lit up. So both sides of each piece will require a clean. I also removed the sling shot parts and return lanes.